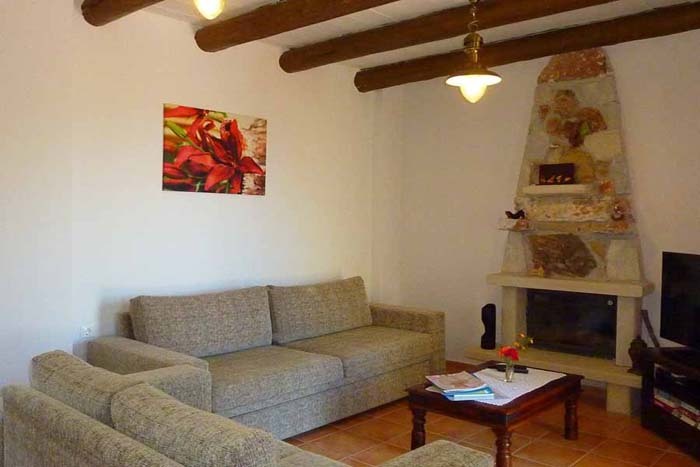 The ground floor consists of a kitchen with a dining table and a living room with a double couch (which can open into two single beds), fireplace, Satellite TV and DVD player. 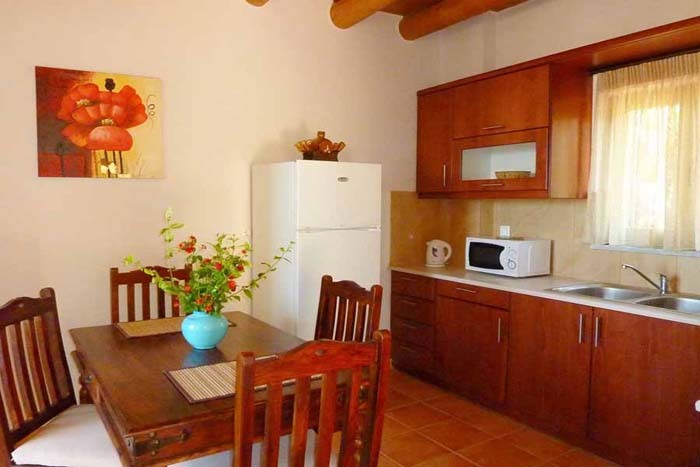 There is also a WC and an area with the washing machine and iron. 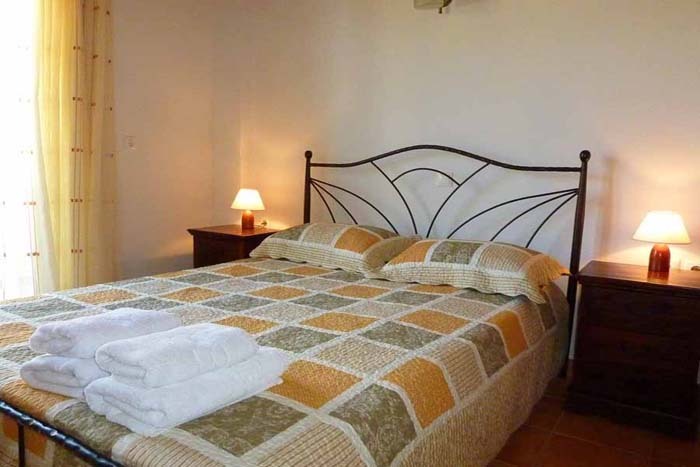 The upper floors offers two double bedrooms en suite with bathrooms with showers, each with a balcony. 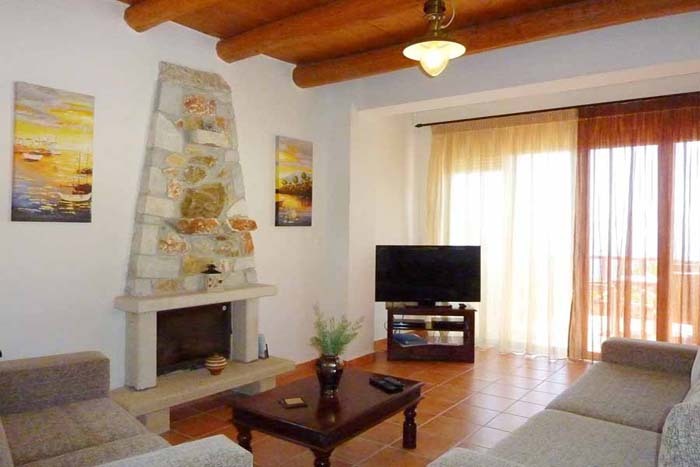 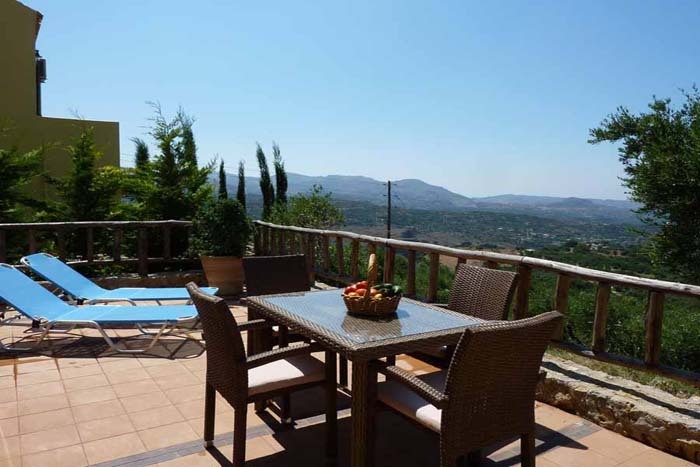 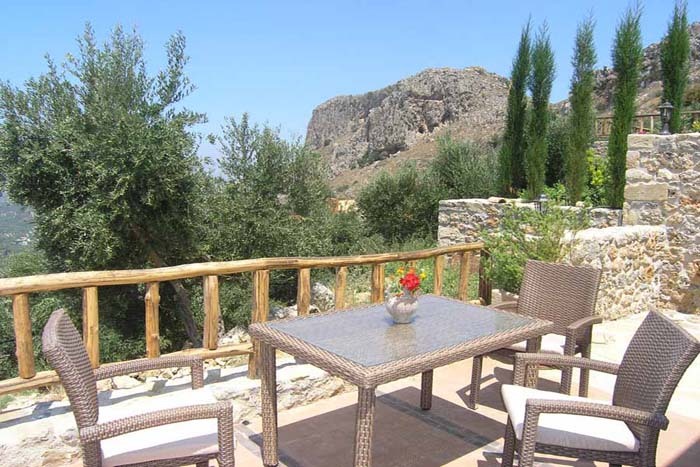 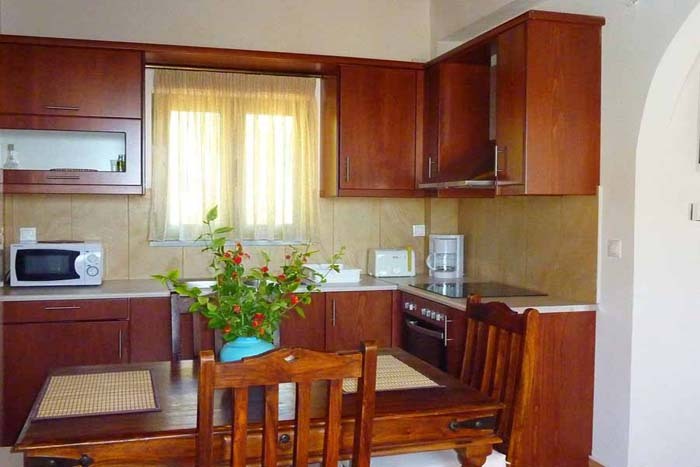 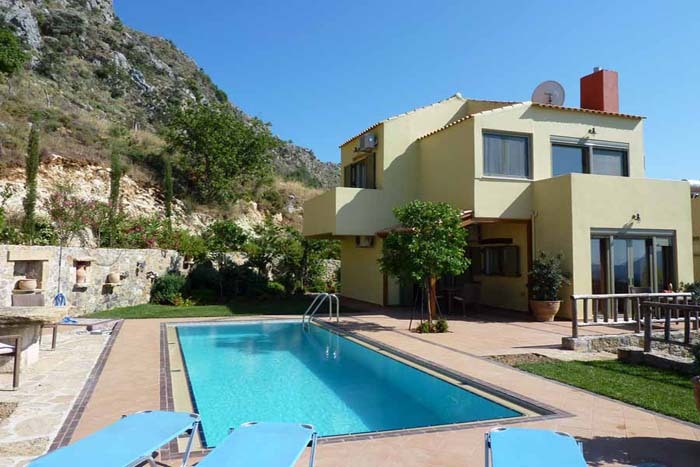 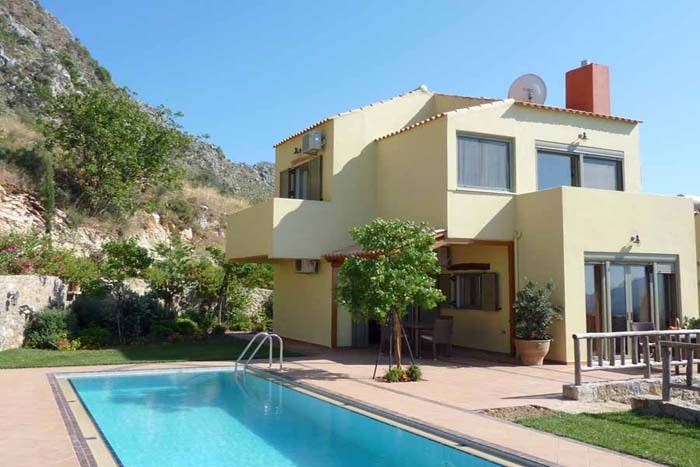 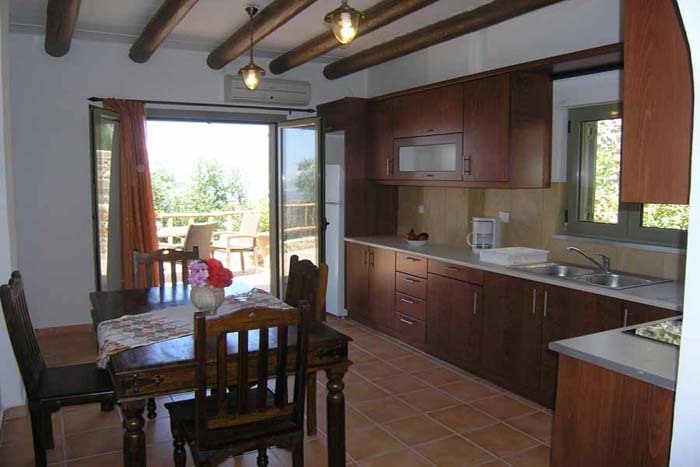 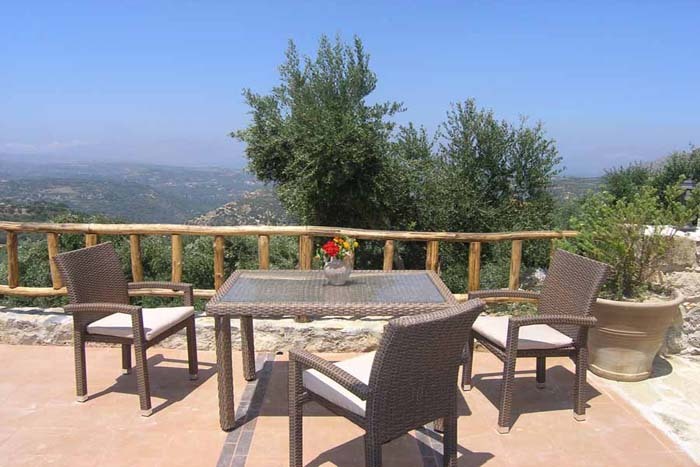 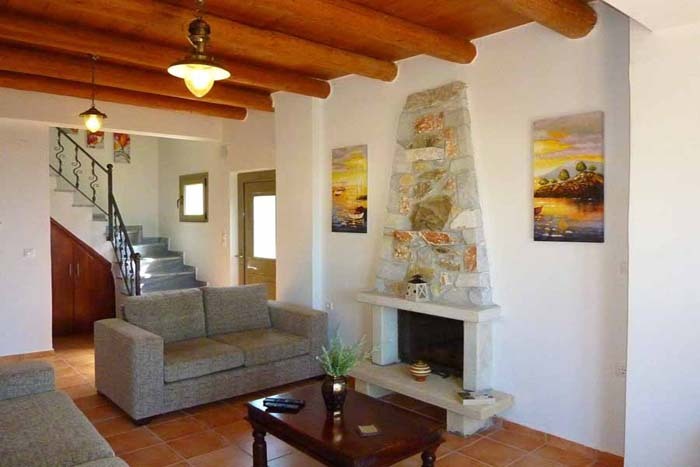 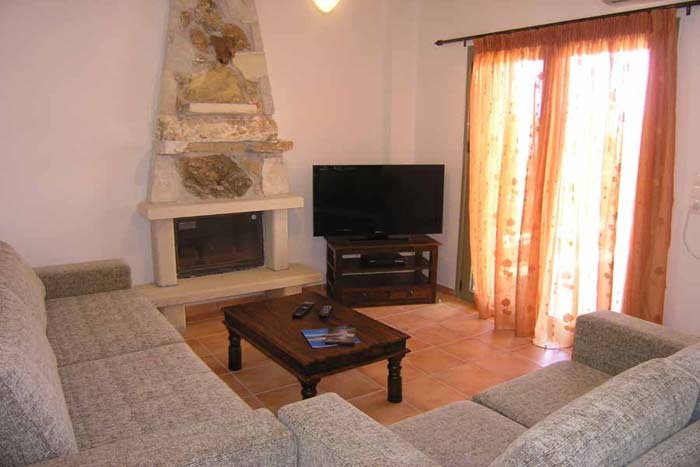 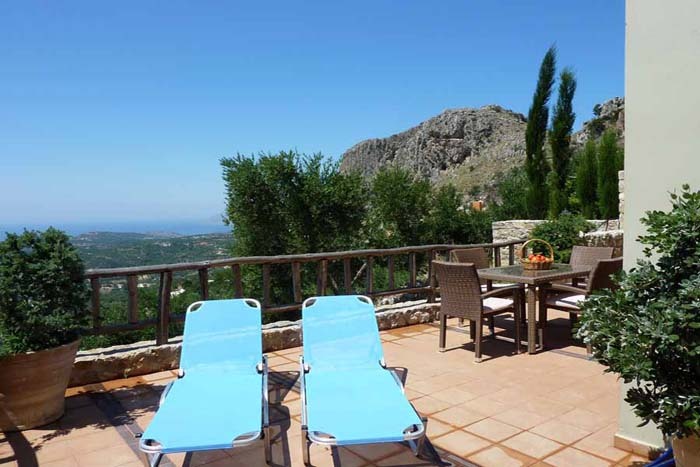 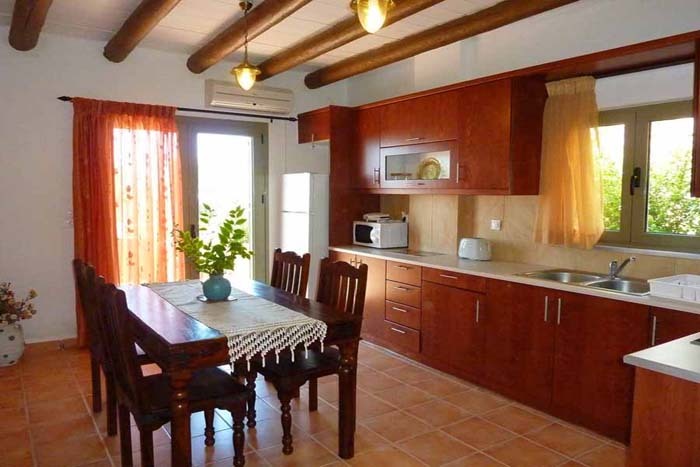 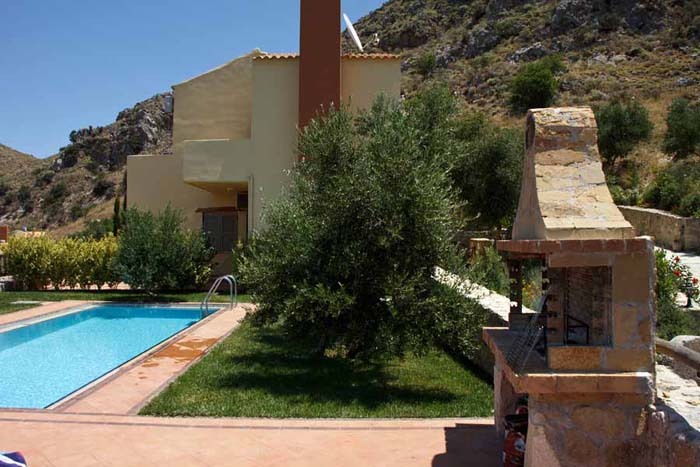 The villa accommodates 2-6 guests. 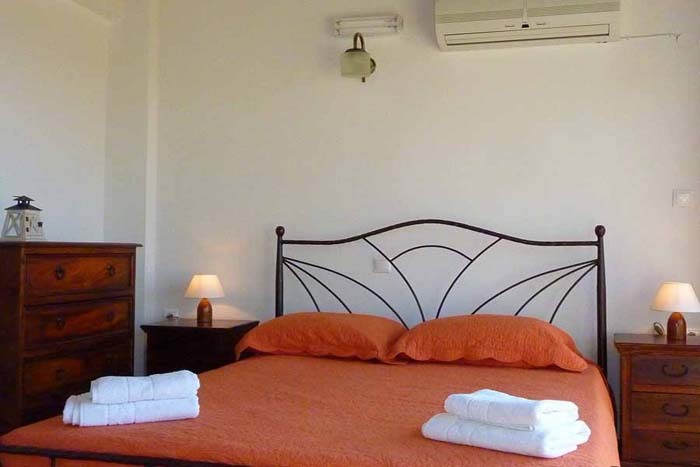 On the first floor there is one double bedroom ensuite with a shower bathroom and a balcony plus also a patio with a dining table and chairs.The villa accommodates 2-4 guests. 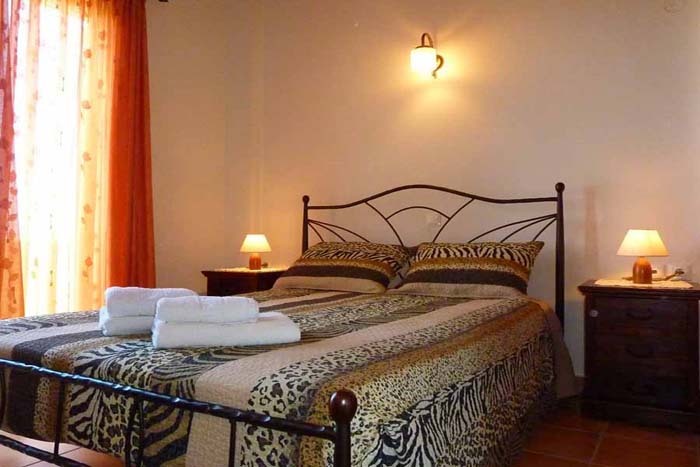 On the first floor there is one double bedroom ensuite with a bathroom with a tub and a balcony plus also a patio with a dining table and chairs.The villa accommodates 2-4 guests. 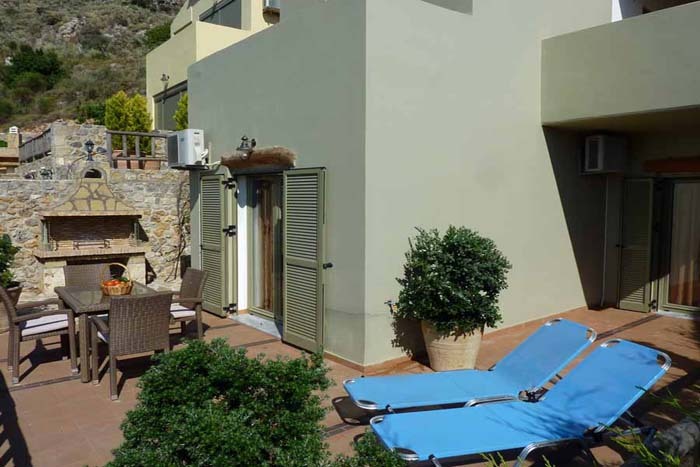 These two villas feature a 24sqm private pool each and a 200sqm garden. 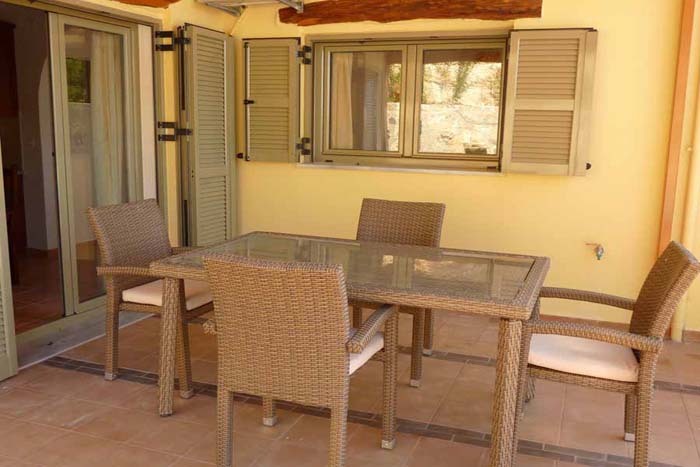 They also have a BBQ, wood oven and outdoor dining table. 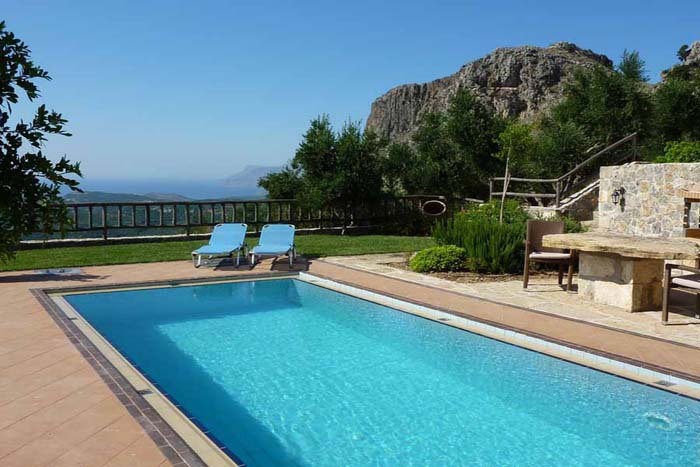 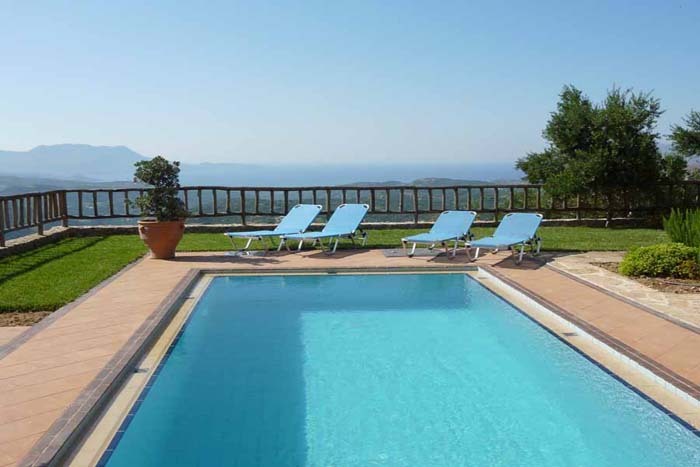 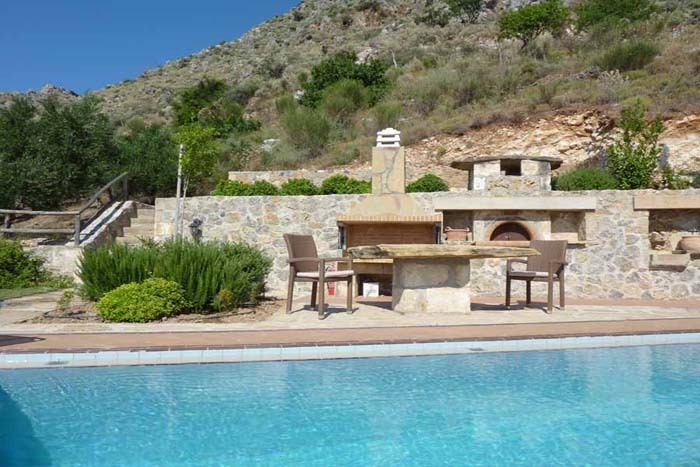 This villa feature a 24sqm private pool each, a 150sqm garden, a BBQ, wood oven and outdoor dining table. 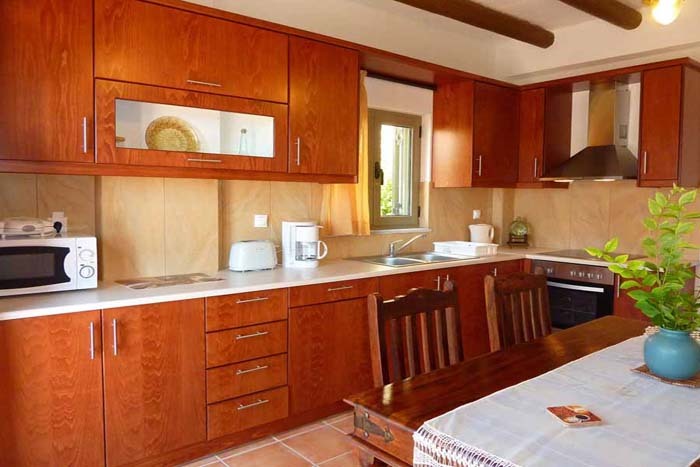 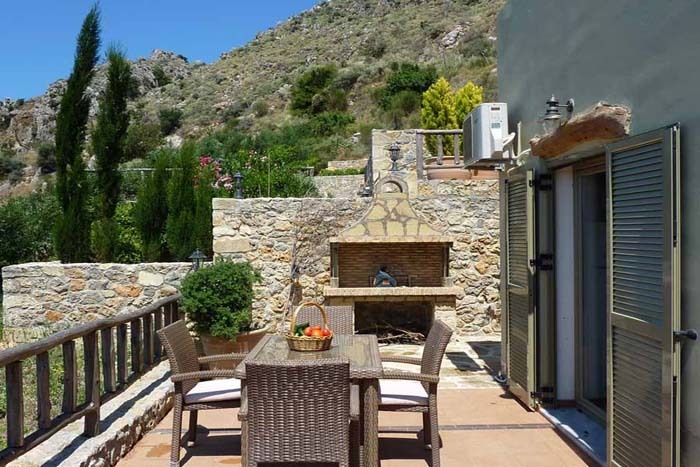 This villa has a 50sqm garden and a terrace with a BBQ and dining table. 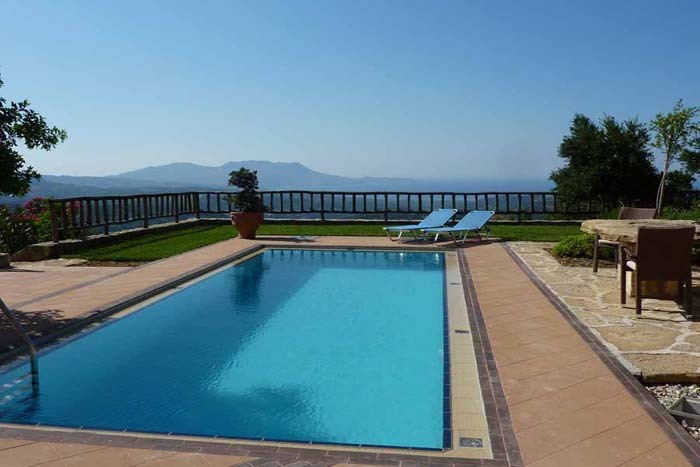 This villa doesn`t have a swimming pool. 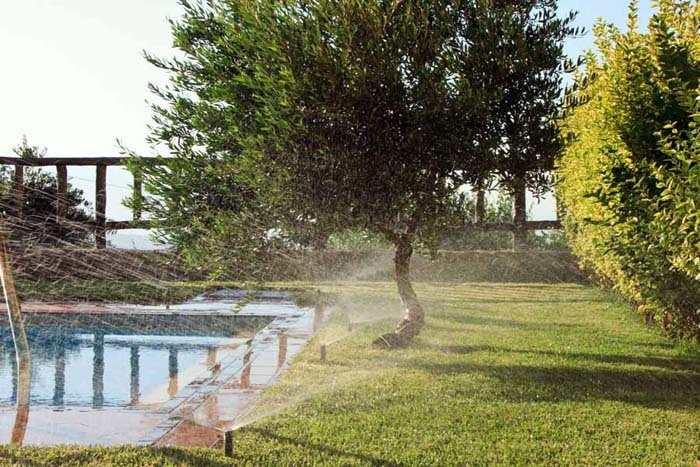 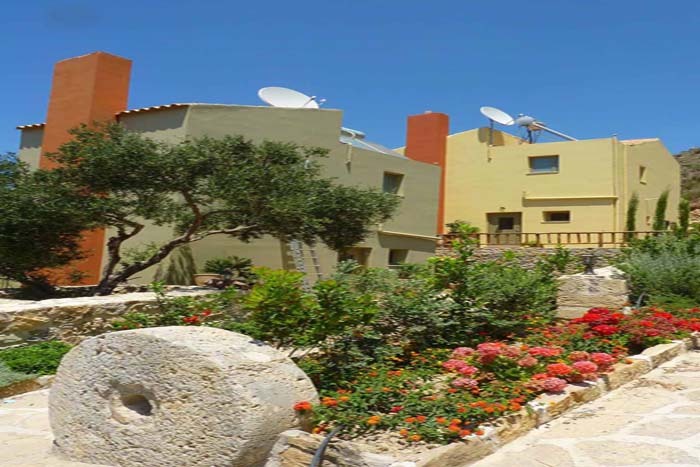 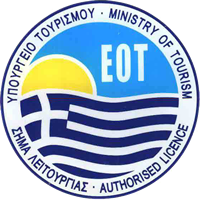 The complex has well kept gardens with flowers and aromatic plants while the guests are free to use the specially arranged gardens and taste the organically grown vegetables. 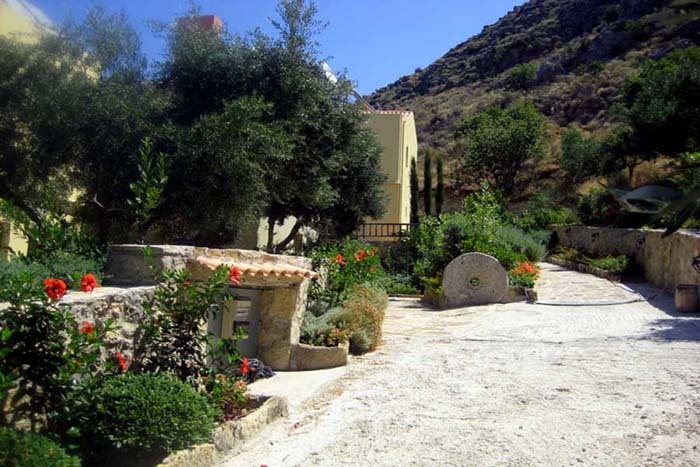 Each villa has a private parking space.